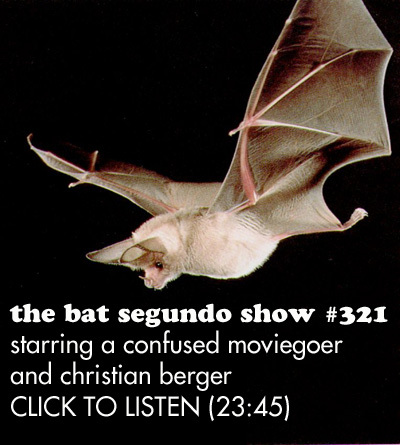 Christian Berger recently appeared on The Bat Segundo Show #321. 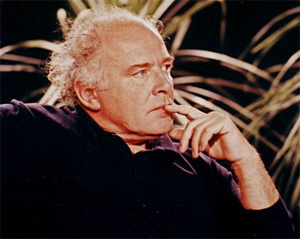 Berger is the cinematographer for The White Ribbon and was, most recently, nominated for an Academy Award for Best Cinematography. This conversation is related to The Bat Segundo Show #316, in which writer-director Michael Haneke was interviewed. Condition of Mr. Segundo: Wondering why so many moviegoers are named Jacques. Subjects Discussed: Reasons to visit New York, establishing a black-and-white look with a color negative, specific hues used for gray tones, pressure from financing, grayscale limits in post-production, lighting and negative tests, differences between film and digital, ASA stock and characteristic curve, how Berger maintained minimal lighting to assist actors during sensitive moments, Barry Lyndon, reflective light, Haneke’s insistence on darkness, Haneke’s stubborn adherence to visuals, on not believing in the “We’ll fix it in post” maxim, managing film and DVD versions, sharing a cinematic vision with Haneke, the impact of HDTV on movies, and psychoanalytical influences on the creative process. Berger: Then came pressure on the production side from one TV station who was participating in the financing system. They were asking for at least the chance to have a color version. Because they were scared from black-and-white. The old story. And now I hope nobody speaks anymore about it with the success. (laughs) But that was the reason we started to think of color negative. Then after the test, I was very happy about that. Because, with the old black-and-white negative, we could never achieve that result. Which is logic in a way. It was only a nostalgic reaction. “Ah, black-and-white.” Like in the old days. It would have been wrong. Color negative is really on the top of the technical possibilities. Now the last generations. And, for example, the rich color space — color room, you say, I think — you have in the negatives. You can transfer it to a very fine grayscale. That’s already a big difference. And it’s already an answer from what you asked me, yeah? This you can not really do in the post-production. Because the grayscale is quite fixed, given by the colors. So that we were testing before with the production designer, with costumes. Very important. Because we had a few very nice textile — a very good costume designer. The woman. But they gave the same gray, for example. Different blues. Yes, a different red can do it too. Production design, the same problem concerning the studio and the equipment from the rooms, color from the walls, furniture, everything. But that you could test out relatively easy. The second part, direction, of the tests was how to handle the light level from oil lamps, from torches, from candles, natural fire sources we were depending on. So the whole lighting, which was necessary of course, had to go in relation to that level, which is very low. And there, the digital post-production possibilities came about again. Because we have a few very important scenes — very dark scenes — where it was definitely not possible to copy them analog. It was not enough. But with the digital way, you scan the original. And each little silver grain which was touched by light can work it out without grain. And that gives too a new look, I think. The combination of that. Correspondent: But if you’re touching up every silver halide, the question remains whether there’s a disadvantage towards something looking perhaps too crisp or too clean. Berger: Do you have that feeling? Correspondent: Well, not entirely. Because you left a lot of dark areas. Particularly that great doorway shot, where there’s the corporal punishment seen. Where we see the camera go through different doors and you see various black expanses as the doors open. Correspondent: So you’re telling me that you were able to — if it looked too crisp or too clean, you were able to corral this. Because you lit a lot of areas very dark. Was that your strategy? Berger: Dark is usually a problem on the analog way. Because it’s grainy. It’s not a standing state of dark. And I think Haneke was quite happy with that clean quality. He loves it.